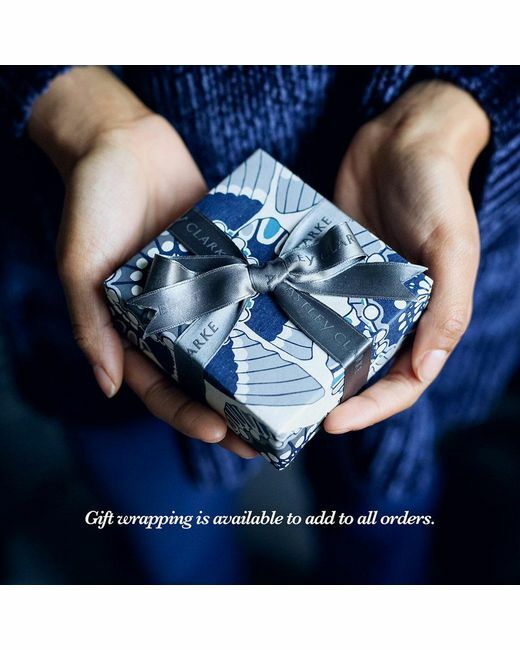 Free shipping with Astley Clarke. 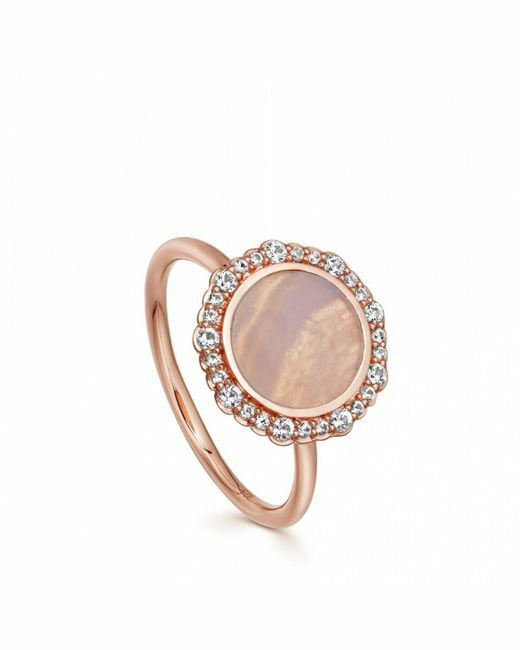 This 18 karat rose gold vermeil Luna Ring features a blush toned lace agate gemstone slice surrounded by a scalloped edge of white sapphires. 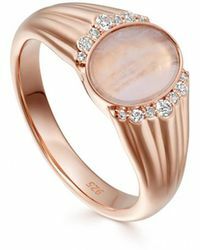 Inspired by the gently lapping tides lit by the moon at dusk, this delicate rose gold ring presents unique bands of pastel colour and effortless femininity for everyday wear. 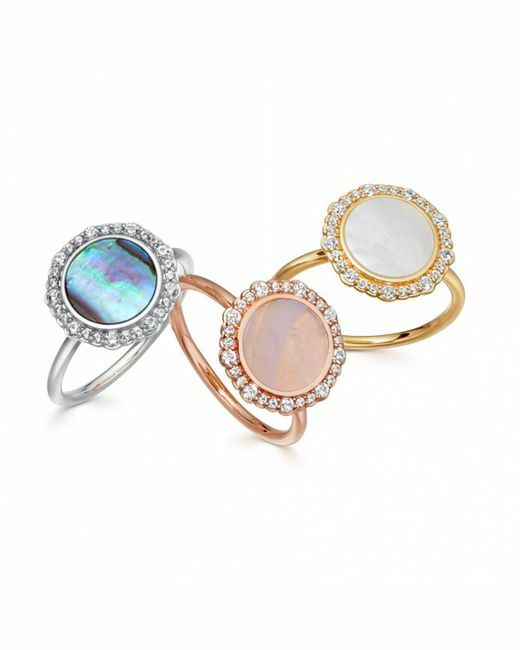 Perfect stacking ring. 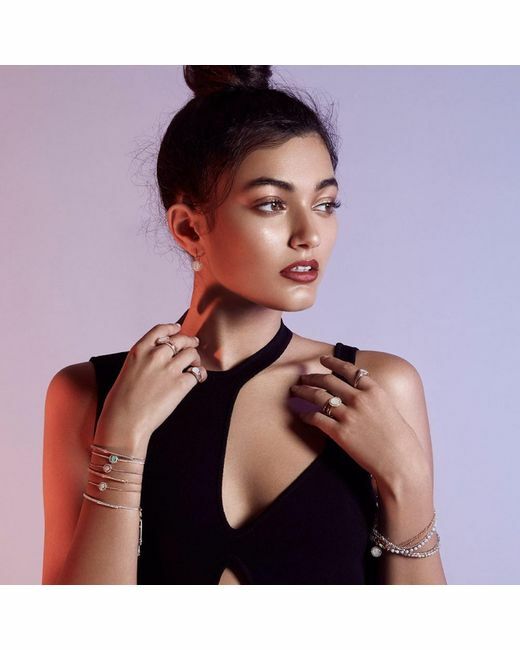 Demi-fine cocktail ring. So beautiful! I love this whole collection. 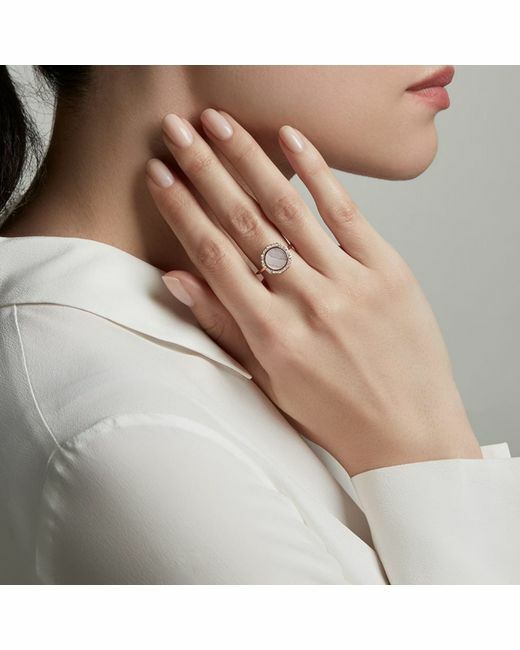 Collection: Luna. 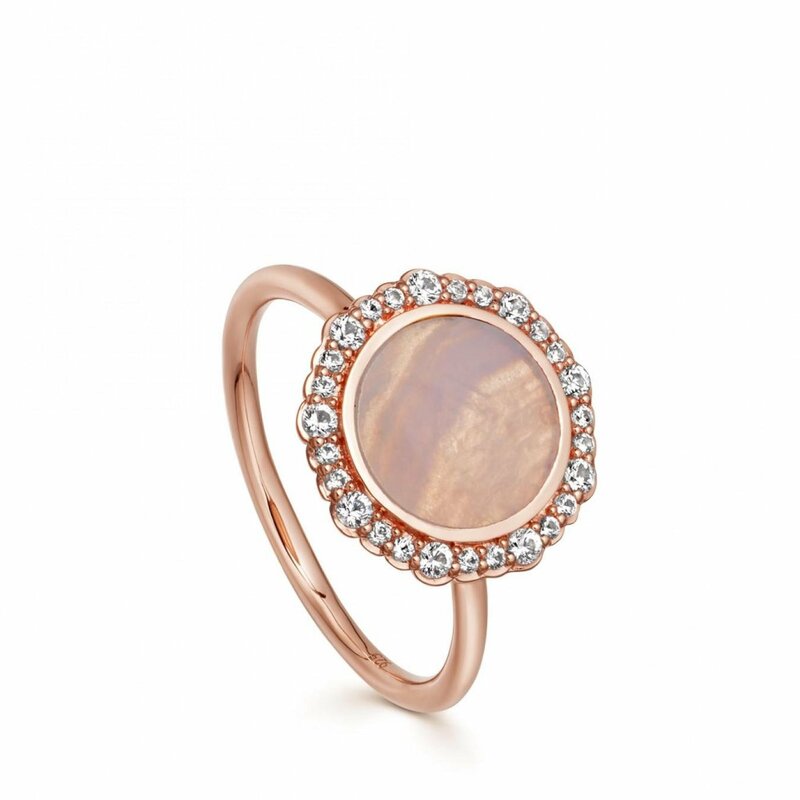 Gemstone: Lace Agate. 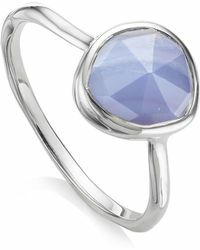 Gemstone Details: Blue lace agate: 4 x 1mm, white sapphires: 1.5mm. 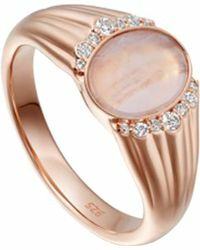 Metal: Rose Gold (Vermeil). Metal Type: 18 karat Gold Plated Sterling Silver. Dimensions: Disc: 13mm, band width: 1.5mm.